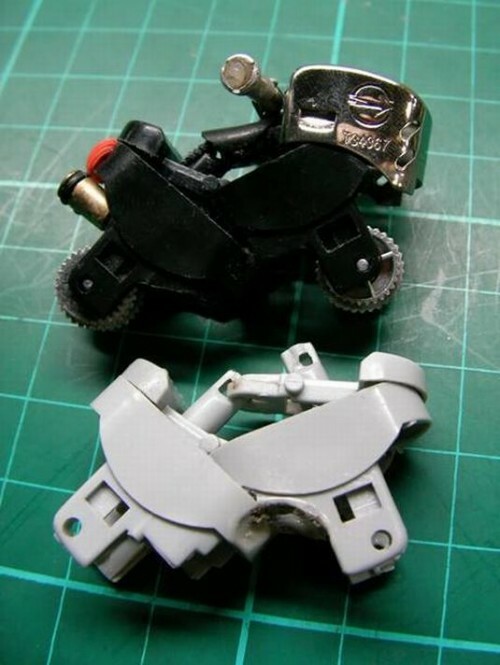 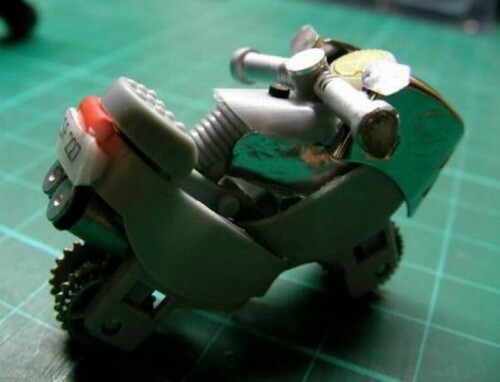 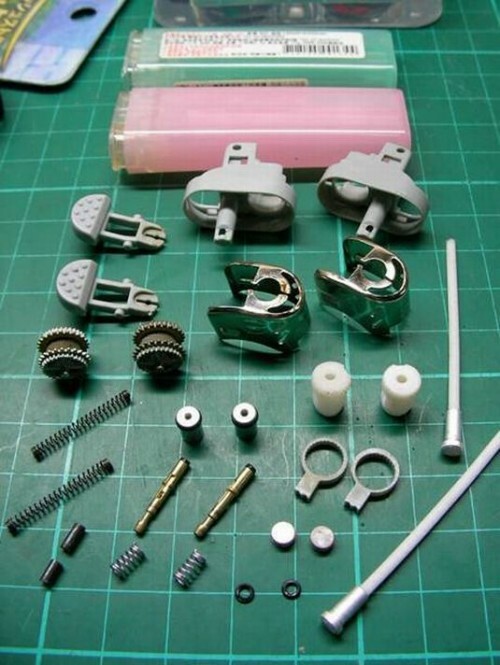 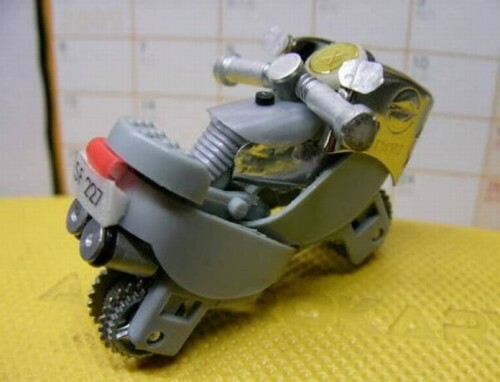 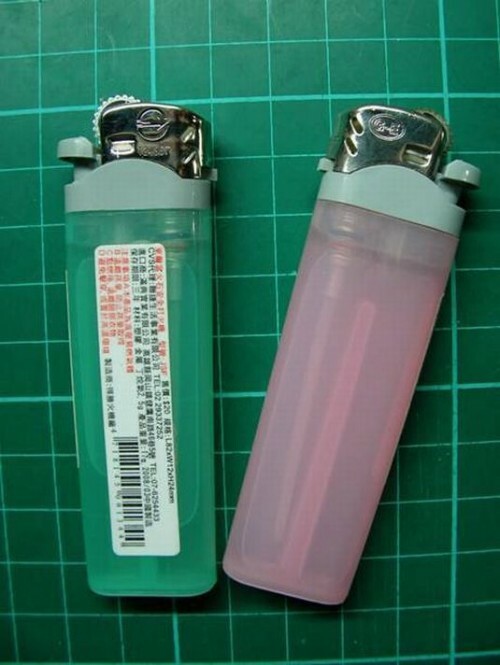 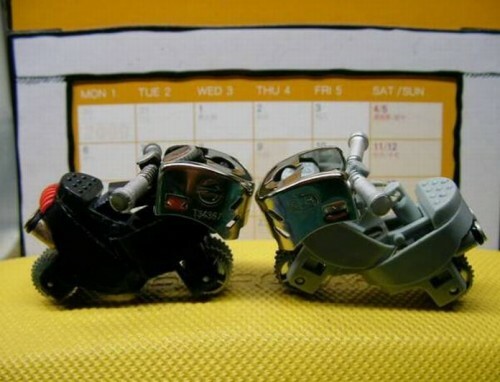 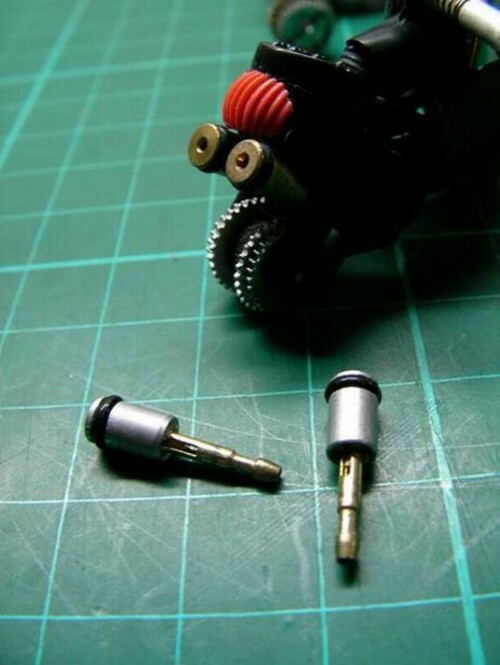 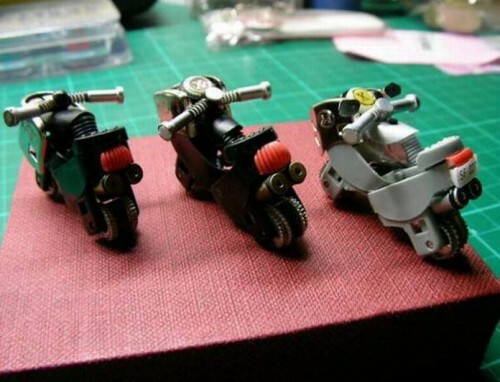 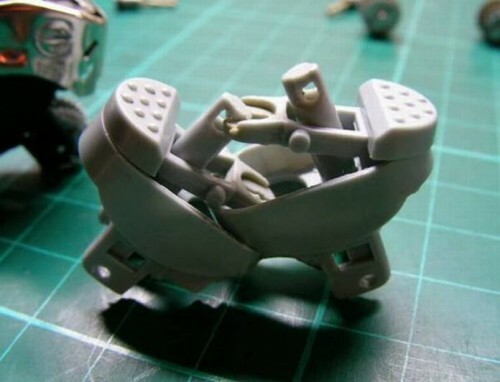 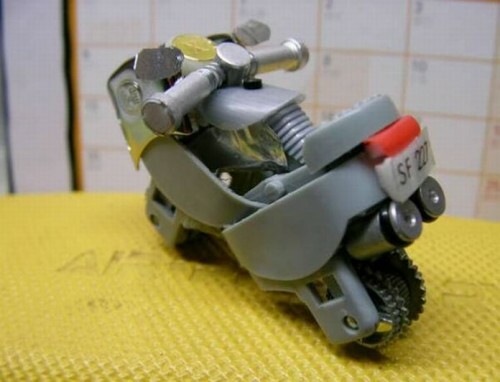 You can convert two old lighters into a seriously cute miniature motorcycle model using only the parts contained in those lighters. 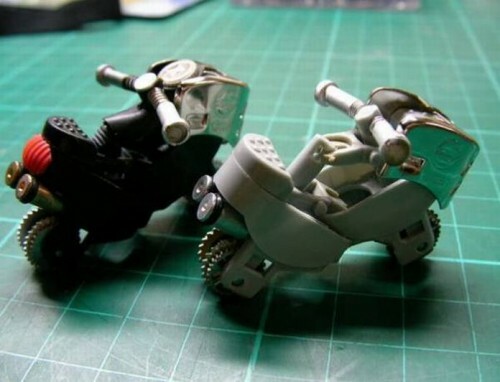 These mini motorbikes are reminiscent of the old Kinder Surprise toys that I grew up with. 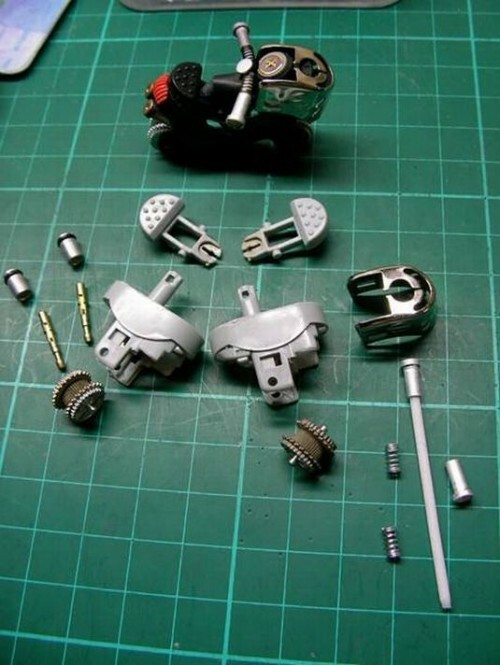 The lighter wheels form the wheels, the metal guard make the bodywork, add a few other bits and pieces and we have Lighter Cycle! 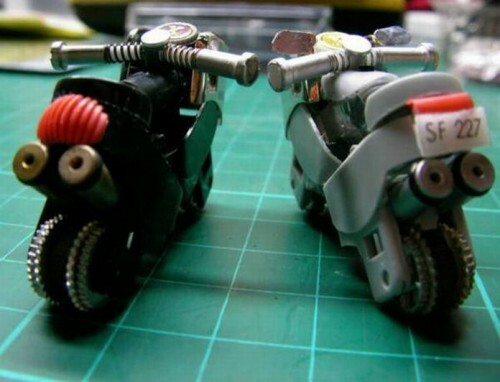 Check out and this Model of Futuristic City Made of Stacked Staples!